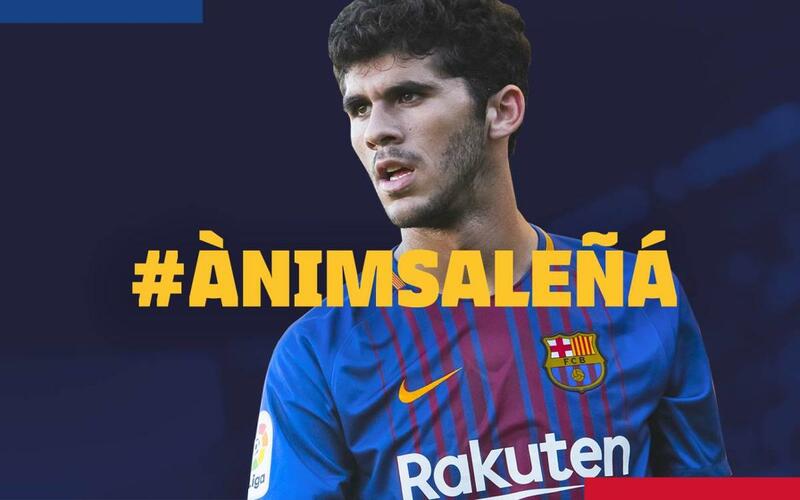 The FC Barcelona player Carles Aleñá has undergone successful surgery at the hands of Dr. Sakari Orava and Dr. Lasse Lampainen in Turku, Finland for the ruptured tendon he suffered in his right hamstring. The FC Barcelona medical team were present at the operation and the player is expected to be out for around 3 and a half months. Aleñá suffered the injury in the final league game of the season for Barça B against Real Zaragoza in the Miniestadi in which the side went down to a 2-0 defeat. Carles Aleñá has been a key member of the Barça B squad over the season. The blaugrana played 37 games in the league, some 3,367 minutes, making him the squad member with most playing time in the competition. Furthermore, he has scored 11 goals and created 2 assists in the Second Division A in 2017/18.